Whether you’re an avid home gardener or a business owner who loathes lengthy outdoor repairs, discovering an issue in your plumbing system can be quite the dreadful feeling. With antiquated sewer repair methods, invasive digging was required to make these important fixes, often resulting in property damage and general annoyance. Thankfully, trenchless sewer pipe repair has made it easier (and less frustrating) than ever to obtain these plumbing fixes. Trenchless pipe repair and installation removes the need for invasive digging, allowing home and business owners to maintain their landscapes and save thousands of dollars over time. First things first: why should you go trenchless for your next pipe repair? A better question would be: why wouldn’t you? About 78% of Angie’s List poll respondents hadn’t heard of “no dig” sewer technology, but once they learned what it was, they were completely on board. In that same poll, approximately 73% of homeowners said they’d pay more for sewer pipe replacement if it would preserve their existing landscape and other outdoor features. The technology being used in trenchless sewer pipe repair is truly remarkable, and you’ll save tons of money on landscape restoration by opting to go trenchless for your next repair. Now that you know how trenchless plumbing repair can benefit you, it’s time to learn what types of services you can expect when you call trenchless experts. One of the most commonly sought trenchless services is hydro jetting. Hydro jetting is the most effective way to clear out clogged pipes by shooting highly pressurized water into the pipe and blasting away any debris that may be causing the issue. Both home and business owners should consider seeking hydro jetting services on an annual basis to avoid clogs before they happen. If your pipes’ issues are more complex than a mere clog, you may be a good candidate for pipe lining or pipe bursting. Experts say pipe bursting and lining are equally durable, and many services come with warranties ranging from 10 to 50 years. 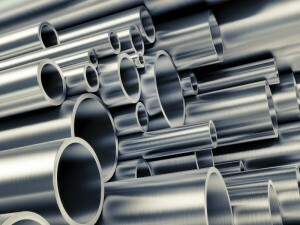 In pipe lining, your current pipes are strengthened from within without replacing them entirely. Pipe bursting involves inserting a new pipe into your old ones, which essentially “bursts” the damaged pipes. Both of these methods are non-invasive and will preserve your landscape while providing crucial plumbing services. If protecting the landscape of your home or business sounds enticing, you need to seek trenchless sewer pipe repair the next time you experience plumbing issues. Find trenchless experts in your area and join the next revolution of pipe repair.